This photo was taken in July 2008, looking NW up Richmond Lane towards West Richmond Street. 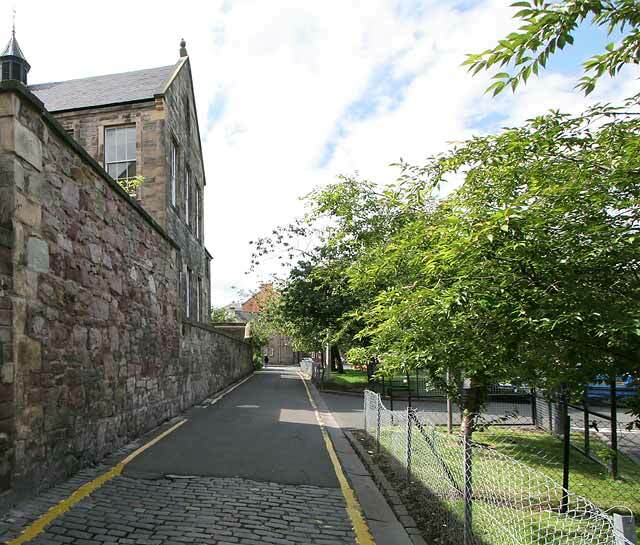 The back of the old school in Davie Street can be seen over the high wall on the left. Here is the front of the school, now converted to housing, facing onto Davie Street. Beyond the school, not seen in this photo is The Apostolic Church at the corner of West Richmond Street and Richmond Lane. The land on the right is now part of the grounds of St Leonard's Medical Centre. This land used to be the back yards of the houses on the west side of South Richmond Street, demolished around the late 1920s.